Likewise, cost transparency enhances communication as it allows customers to have a better understanding of the processes and efforts involved in developing a product. The transparency, especially if voluntary, can clear any perception of price unfairness that the consumer might have. By being transparent, the company makes the consumer feel safer and less worried about making a wrong decision. The purpose of every marketing choice is to persuade customers to agree to something, typically buying a product or service. As such, each marketing choice is also a negotiation choice. Some interesting research on cost transparency and how it can affect trust and customer behaviour has been published in recent years. These findings may hold valuable insights for both marketers and negotiators. In “Lifting the Veil: The Benefits of Cost Transparency”, Bhavya Mohan (University of San Francisco) along with Ryan Buell and Leslie John (Harvard Business School) conducted six studies to see what happens when firms reveal their costs to consumers. The first study began when an online retailer, trying to boost post-Christmas sales of a leather wallet available in five colours, accidently placed a cost infographic on only three out of the five colour-specific product URLs. This unintended natural experiment went on for more than a month. A subsequent analysis showed that the cost-transparent wallets sold 44 percent better than the non-transparent ones. Results stayed robust even after checking for confounding variables such as colour popularity. The researchers still had many unanswered questions and went on to conduct five additional studies. They wanted to analyse the impact on sales of sharing information about competitors’ prices or the series of operations involved in making a product. They were also curious about the influence of trust in the firm, as well as voluntary vs. involuntary price disclosure. Their studies confirmed that cost transparency boosts sales considerably, especially if the firm is trusted and the cost disclosure is voluntary. The impact remains positive even if consumers learn that the firm made more profit than they would have expected. Transparency and trustworthiness, two powerful factors in the studies above, are equally relevant for negotiators. Trustworthiness is a building block of any relationship, and transparency is a powerful strategic choice when it comes to communication (part of the negotiation process). While win-win negotiation strategies do not need trust to produce a good outcome, trust helps build relationship and thus facilitates agreement. Similarly, transparency is not required, but it can also promote agreement. For example, when a company discloses its costs next to the price tag of a product, consumers perceive the company as more trustworthy. As the company is ostensibly helping the consumer make a well-informed decision, it reduces the customer’s risk arising from information asymmetry. This, in turn, fosters goodwill and trust. At times, consumers may have doubts about the information being shared, just like negotiators are often wary of an opening offer. And yet, transparency, cost information sharing and trustworthiness (which compels the consumer to believe the information) combine to create a virtuous cycle of powerful influence, especially if the competition is not doing the same. Oftentimes persuasion is not based so much on the quality of our arguments, but rather on an underlying sense of transparency and truthfulness that make people feel safe to buy or comply. Since studies show that cost transparency significantly boosts buyers´ interest, shouldn’t retailers and service providers implement it? In fact, some retailers already do. Everlane, a San Francisco-based online clothing shop, discloses production variable costs as well as images and descriptions of the factories where products are made. Another example is Honest By, a Belgian fashion retailer whose website provides detailed supply chain information for each component of a garment, right down to the thread. While these two retailers can afford cost transparency, not everyone can follow suit. 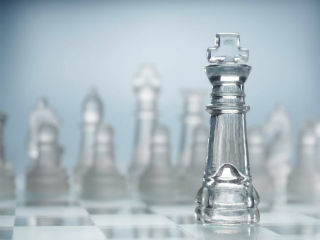 Companies may be deterred by a number of practical considerations, such as competitive cost structure, high fixed or R&D costs preventing accurate unit cost estimations or even supplier non-disclosure agreements, just to name a few. Regardless of practicalities, an important question is whether transparency would still be worth it if the competition did the same. The paper by Mohan, Buell and John demonstrated the power of cost transparency in an environment where a single firm used this practice. 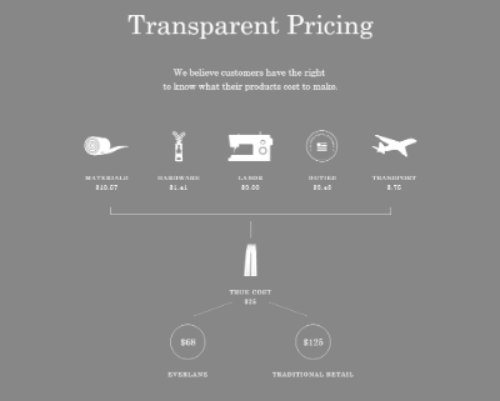 Could cost transparency be like customer orientation? While highly appreciated, it provides no competitive advantage when it becomes an industry standard. No one knows what would happen if cost transparency was no longer the virtue of a single player. Perhaps, it would only add to costs without providing any tangible benefits? Or perhaps, it would help weed out the firms unable, for whatever reason, to disclose such consumer-benefitting information? Whatever the case might be, from a negotiation standpoint, cost transparency builds trust and loyalty, reduces the need to double check information and improves decision making by all parties. These seem like sufficient reasons to invest in it, aside from its potential competitive value. As it becomes a pattern within a relationship, cost transparency also serves as assurance that parties will not misbehave or try to get away with sneaky tricks. Marketing and negotiation, as persuasion processes, are a bit different, but in both cases, it is up to us to make our own choices. What will you choose? Will you lift the veil on costs or not?